September 9 and 23. October 7 and 21. November 4. 2019. Time: 2:00 p.m. to 4.30 p.m. UK TIME. 3 seminar supervision sessions are included in the package. 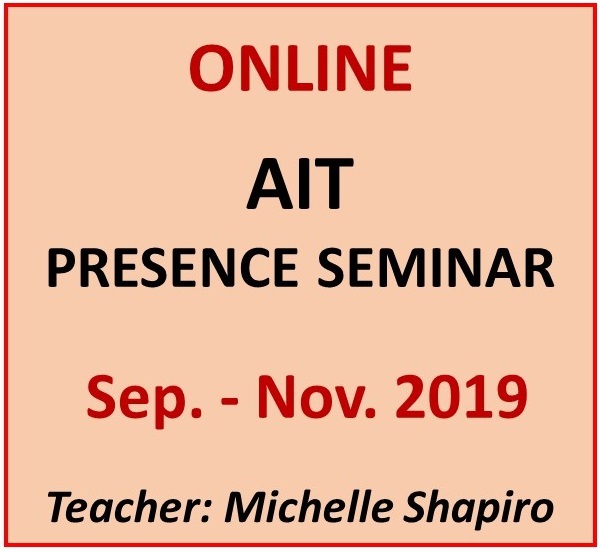 The protocols of the AIT Presence and Dissociation Seminar focus, theoretically and methodologically, on repairing the ways that dissociation, repression, and disapproval caused by early trauma, often in the family of origin, diminish and even destroy our clients’ ability to live in the present. These protocols help clients painlessly return to presence. 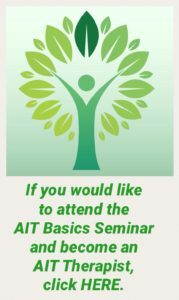 The seminar includes AIT treatment for boundary issues, family issues, and emotional and physical dissociation.